These small round beans are common in Indian cooking where they are referred to as “grams”. 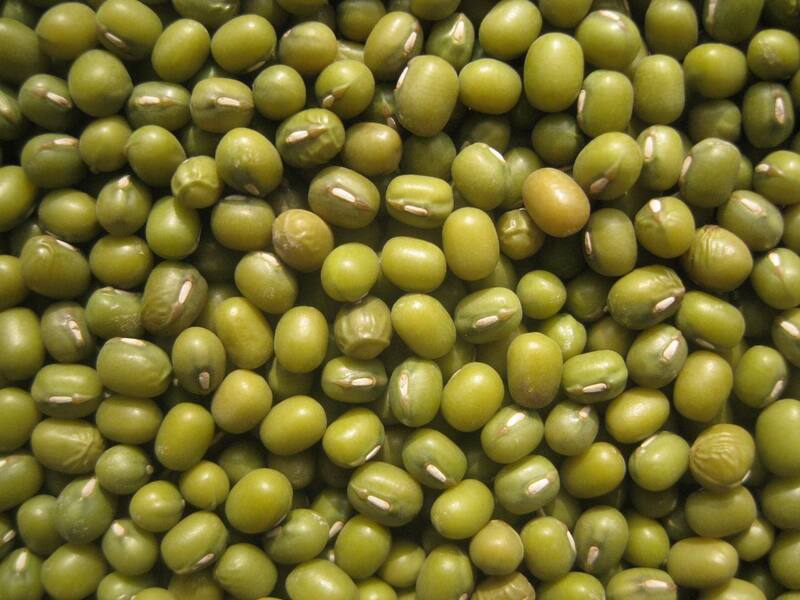 Mung beans range in color from greenish-brown to yellow to black and have delicate, sweet flavor. In “Beans: A History” Ken Albala describes mung beans as “the quietest and smallest of beans” for their mild flavor, easy digestibility and diminutive size. They need no pre-soaking, and their delicate flavor is a good addition to Asian-style brothy soups. They are also an easy bean to sprout and are often sold already sprouted. Split and hulled dried mung beans are sold as moong dahl. When simmering whole dried mung beans, add a handful of chopped aromatics (such as onion, garlic, celery, carrot, and/or ham) for more flavor. You may also simmer the beans in broth in place. Pick over beans and rinse in cool water. Transfer beans to soup pot or large saucepan, add enough water to cover by 2 inches. Bring to a boil over medium heat, then reduce heat and simmer gently, uncovered or loosely covered, until tender but still intact, 45 minute to 1 hour. Add salt only toward the end of cooking, and add more water during simmering if beans start to dry up before they are tender. Strain; If you like, reserve the cooking liquid for making soup.